When President Uhuru Kenyatta poached Kanze Dena from Citizen TV to be part of his communications team last month, Kenyans celebrated the appointment as it was a no-brainer. Kanze Dena’s track record alongside the equally formidable Lulu Hassan speaks for itself; the two were the top news anchors in the country for four years in a row in five years of working together. Based on this, there are those who believe that if it wasn’t Kanze Dena who got the Deputy State House Spokesperson appointment, it would undoubtedly have been Lulu Hassan. 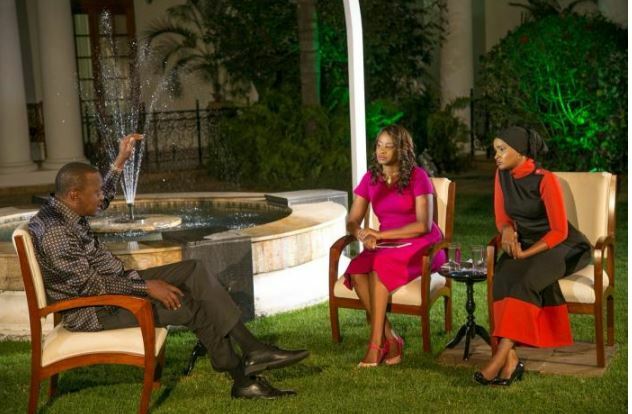 The president’s admiration for the Swahili anchors has been highlighted once more after it emerged that a picture of the trio is one of Uhuru’s favourite images. 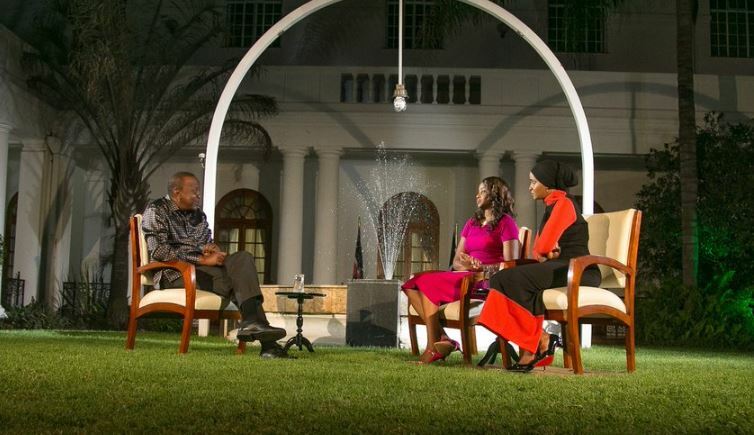 The picture was captured when Kanze Dena and Lulu Hassan interviewed President Uhuru at State House, Nairobi in March 2017. It shows the three engrossed in discussion, with Uhuru seemingly explaining a point as Lulu and Kanze listen attentively. 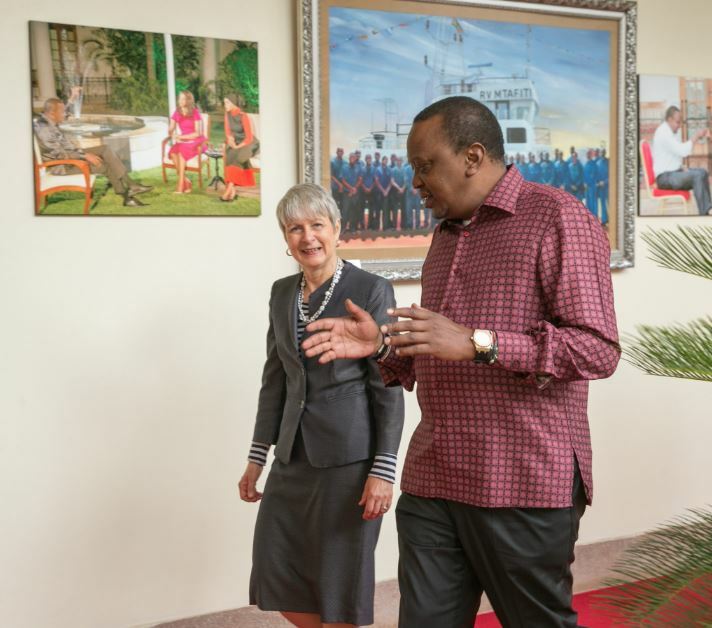 In fact, President Uhuru is said to have enjoyed the interview that he had the picture hung on the walls of State House. A source, who is a regular visitor at State House, reportedly told Citizen Digital that the picture of Kanze and Lulu is the only one – of journalists – that the Uhuru has proudly displayed on the walls of the house on the hill. “The picture is mounted on the wall at a very strategic area in State House; you can’t fail to see it; whether walking in or out of State House,” the informant is quoted as saying. The picture is placed on the left side of a photo of the commissioning MV Mtafiti(Kenya’s first ever oceanographic vessel) at the port of Mombasa in 2014. On the right of the picture, is an image of Uhuru fist bumping with radio personality Daniel Githinji Mwangi, popularly known as ‘Mbusii’, in 2017.